Google is set to launch two new Nexus devices at an event on September 29th, and those devices are most likely going to be called the "Nexus 5X" and "Nexus 6P" if the latest collection of leaks are to be believed. Photos of the boxes of both upcoming Nexus handsets have been leaked to Android Police, revealing the names "Nexus 5X" for LG's 5.2-inch model and "Nexus 6P" for Huawei's 5.7-inch model. It's not clear why we're seeing the device names suffixed with X and P respectively, though it won't be too long until all is revealed. Android Police also received a render that shows off the Nexus 6P in full. The render looks almost identical to last month's leaked images of the Huawei-made device, including the rear fingerprint sensor and camera hump, and dual front-facing speakers. The Nexus 6P is expected to launch with a Snapdragon 810 SoC inside, as well as a 1440p display. The 5.2-inch Nexus 5X will reportedly come with a Snapdragon 808 SoC, 3 GB of RAM, a 12-megapixel rear camera, USB Type-C, a 2,700 mAh battery, and a 1080p display, at least according to a recent report. 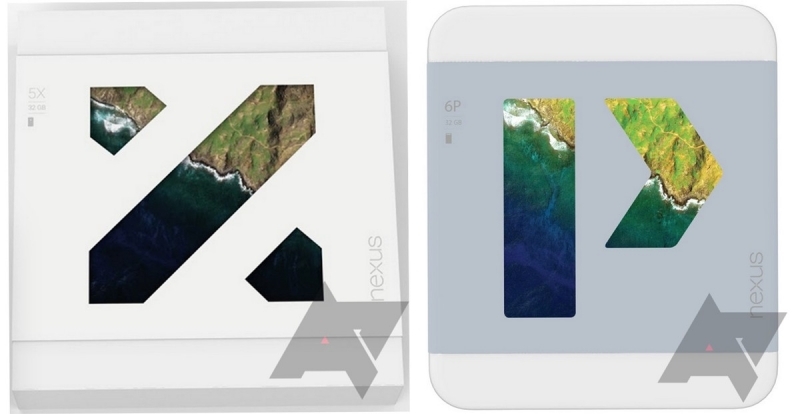 Considering so many details about these two Nexus phones have leaked before their launch, we're only really waiting on Google to announce their release date and price. We're also expecting to hear more information about Android 6.0 'Marshmallow' next week, which will come pre-loaded on both new Nexus handsets.